The estranged half-brother of North Korean leader Kim Jong-un was killed with a highly toxic chemical weapon known as VX nerve agent, Malaysian police have said. Kim Jong-nam, 45, died after being assaulted at Kuala Lumpur International Airport last Monday while preparing to board a flight to Macau in China. 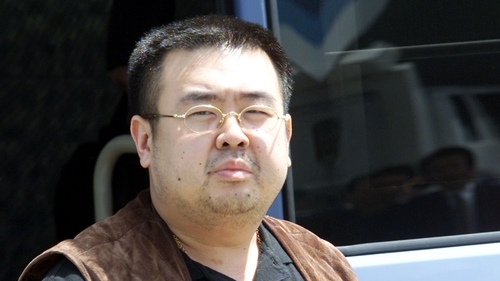 South Korean and US officials have said they believe North Korean agents assassinated Kim Jong-nam, who had been living under China's protection. Police said swabs taken from the eye and the face of a North Korean national by the chemistry department of Malaysia revealed the presence of VX. VX is a chemical weapon classified as a weapon of mass destruction by the United Nations. Police chief Khalid said earlier that a Vietnamese woman and an Indonesian woman wiped a liquid on Kim Jong-nam's face. Airport camera footage released on Monday shows the moment the women appeared to assault Kim Jong-nam, who is later seen asking airport officials for medical help. He died on the way to hospital. VX is tasteless and odourless, and is outlawed under the Chemical Weapons Convention. Malaysia has requested Interpol to put an alert out to apprehend four North Korean suspects in the murder. Police are also holding one North Korean man, but are seeking another seven in connection with the murder.